On Wednesday, the Federal Reserve released its minutes from its Jan. 29-30 policy meeting in which it voted unanimously to hold its policy rate in a range between 2.25 percent and 2.5 percent. “Patience” has been a constant buzzword in the Fed’s vocabulary as of late and in the minutes released, leaning towards a patient approach to interest rates was confirmed. “Participants pointed to a variety of considerations that supported a patient approach to monetary policy at this juncture as an appropriate step in managing various risks and uncertainties in the outlook,” the meeting said. Following the release of the minutes, the Dow Jones Industrial Average rose close to 100 points, but then fell quickly thereafter to show a mild double-digit loss. As of 2:45 p.m. ET, the Dow was up just over 50 points. Investors and traders alike were no doubt dissecting the Fed minutes to extrapolate their own interpretations from it. In the actual minutes, it was almost unanimous that a reduction in assets would come prior to the end of 2019. The markets were keen on the central bank’s holdings of $3.8 trillion in bonds, which it has steadily been reducing since October 2017. 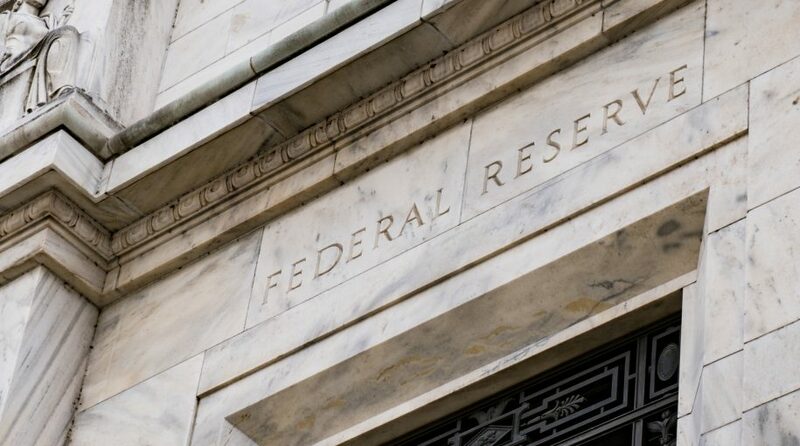 “Almost all participants thought that it would be desirable to announce before too long a plan to stop reducing the Federal Reserve’s asset holdings later this year. Such an announcement would provide more certainty about the process for completing the normalization of the size of the Federal Reserve’s balance sheet,” the document said. January’s decision to keep rates flat came as the Fed obstinately stuck with a rate-hiking measure in 2018 with four increases in the federal funds rate. Given the current economic landscape, that appears to have changed. The shift from its original rate-hiking measures came as U.S. equities finished their worst year in over a decade. The Dow fell 5.6 percent, while the S&P 500 lost 6.2 percent and the Nasdaq Composite fell 4 percent. December alone resulted in the Dow falling 8.7 percent and the S&P 500 losing 9 percent, making it the worst December since 1931. However, as evidenced by the latest mentions of patience, it appears the Fed is finally paying closer attention to the pulse of the markets.